iPhone v Samsung v Huawei: which is best? There's little doubt that the iPhone X represents the future of iPhone design. And there's no question that this is the best iPhone you can now get. The question is whether it justifies that big, big price? 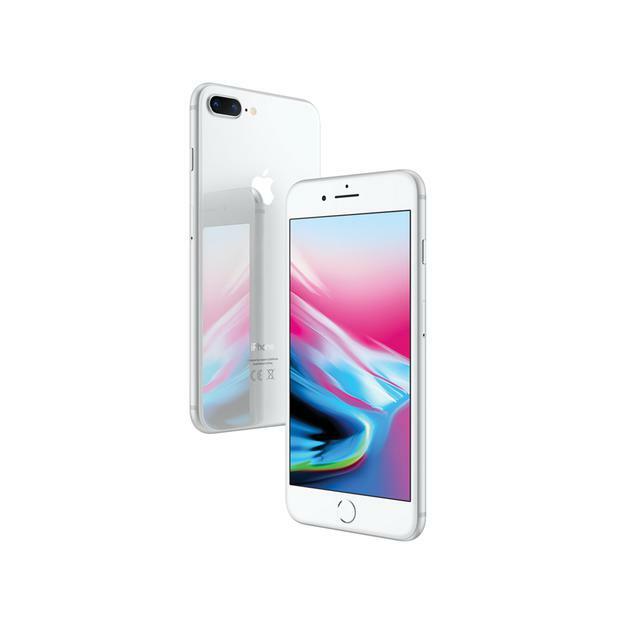 As well as packing in the very latest powerful technology under the hood, the iPhone X has two main distinguishing features about it: an edge-to-edge screen and facial recognition instead of a fingerprint reader. The first of these, the iPhone X's 'super retina' screen, is simply gorgeous. The way that it stretches almost totally from corner to corner is a first for Apple and an ergonomic game changer for those who like big screens but dislike having extra-big phones to accommodate those screens. The deal here is that the display is 5.8 inches, making the screen longer (but slimmer and hence not bigger overall) than the iPhone 8 Plus's 5.5-inch display. Because of this edge-to-edge design, there's no appreciable bezel, meaning that the overall device is significantly smaller than an iPhone 8 Plus (or rivals such as the S9 Plus and P20 Pro). In fact, it's much closer in size to a regular iPhone, despite its screen being way bigger. This is obviously a great advantage for pockets, as well as overstretched thumbs. As an ergonomic upgrade, it works. The quality of the Oled screen is also absolutely top drawer, adjusting to lighting conditions so as to ease eye strain. The other big feature that regular iPhone users will need to get used to is its Face ID and, hence, lack of a physical button. The Face ID system is largely flawless, with few misfires in my time with the phone. It's certainly much quicker and more accurate than the equivalent technology on rival devices such as Samsung's Note 8 or Huawei's phones. As for the removal of the 'home' button, you now swipe up instead. This becomes second nature after a short while, although I can see why some people may not the like the idea at first - that home button has been a safety valve of sorts (or a short cut) in a variety of scenarios for many years. On the camera front, the iPhone X sports the best that Apple can offer. It has two 12-megapixel lenses, one with a wide-angle 28mm perspective and the other with a telephoto 50mm view. Like the iPhone 8 Plus (and 7 Plus), these combine to give you way more flexibility and quality than a single-lens phone camera. But unlike the iPhone 8 Plus, the telephoto 50mm lens here is also stabilised, meaning clearer, better photos, especially in low light. That's a notable upgrade. While you don't quite get the 40-megapixel detail from Huawei's P20 Pro, Apple's colour-rendering and, especially, video-recording performance means that this doesn't feel like second-best at all. It's a brilliant camera to use. If I was looking for negatives, I might say that the iPhone X's battery life doesn't match that of its flagship competitors. It's generally fine for the best part of a day (or more, if you don't use it heavily), but if you hang out of your phone the way I do, you'll need an extra shot of power sometime in the evening. The iPhone X also doesn't have a headphone jack, although it's not alone in this regard. And while a 256GB storage is available (for an extra €170), the 'base' model only comes with 64GB, which feels modest at this price tier. In summary, the iPhone X is definitely Apple's top performer. But can the extra €350 in cost be justified over, say, an iPhone 8? This can only be a subjective answer. But here's a guide: if you want the absolute best, newest, highest-performing iPhone out there, this is unquestionably it. If you're genuinely happy with a high-end iPhone in a more traditional form factor, then look to the iPhone 8 or iPhone 8 Plus. If you’re a Samsung user with an S7, S6 or older phone, this is a prime upgrade phone. You’ll notice the different features straight away. You’ll also be very happy with it, as this is a superb handset. The same goes for those thinking of a high-end Samsung phone and who currently use another Android device. With the exception of Huawei’s P20 Pro, this is indisputably the top of the pile in Android land. But if you already have last year’s S8 or S8 Plus, it’s a slightly different story. Other than the camera, there arguably isn’t enough to justify replacing your S8 or S8 Plus with this year’s model. It looks the same and, other than the camera in low light and some emoji, largely acts the same as the phone you already have. TV or monitor) based on in-depth measurement of colour accuracy, brightness, outdoor visibility, and reflectivity. The S9 Plus’s battery is very good (3,500mAh), though not the best on the market. In general, it will last through a full day’s use other than in exceptional circumstances, such as a day spent between trains and waiting rooms. This is now Samsung’s best battery phone since they had to reduce the size of the Note 8’s battery in line with design alterations to remedy the overheating defects experienced by the ill-fated Note 7. From a design and handling perspective, both the S9 and S9 Plus are almost indistinguishable from their predecessor devices, the S8 and S8 Plus. In one sense, this is a pity. On the other hand, the flagship Galaxy S phones are probably still the best-looking handsets on the market (although the iPhone X also has a claim to that title). The whole edge-to-edge screen design template was set by Samsung and it still arguably does it best. Does this mean the design is flawless? 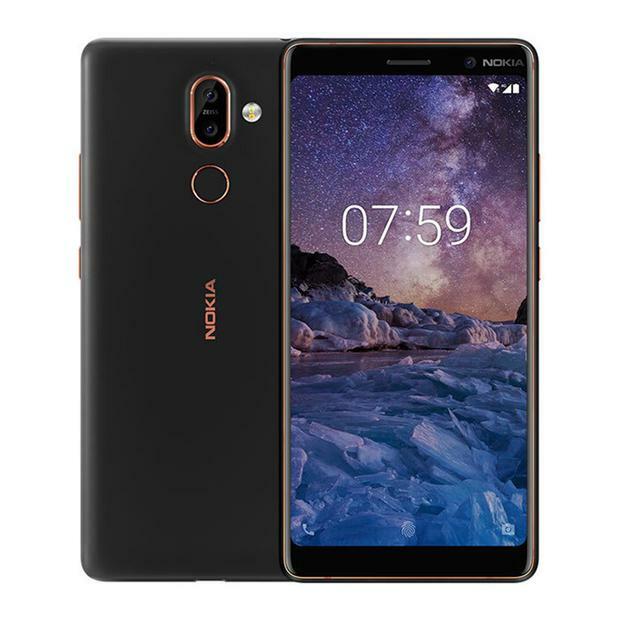 To my mind, no – the one disadvantage of the gorgeous-looking curved glass edges is that it makes gripping the phone a little more uncertain, as well making the overall handset a bit slippier. Obviously, this can be remedied by a case, which most people will probably get. The S9 Plus’s camera is up there with the very best. It has two rear 12-megapixel lenses, one of which has a very powerful feature. The wide-angle lens can, when it detects dark conditions, revert to a ‘variable aperture’. This lets it open up wider than any other camera can (to a setting of f1.5). Doing this means that it physically lets more light in than other cameras. The phone can also make some incredibly clear low-light photos by taking five shots consecutively (almost immediately) and combining them to take the best bits from each. Buttressed by optical stabilisation, this eliminates ‘noise’ artefacts that often make low-light photos look a bit shabby and sub-par. The handset has 64GB of internal storage, which is modest for an Android phone at this price. A last word: this is the only major flagship phone to still offer a 3.5mm headphone jack. contender to the top two brands. In the Android world, it is now a straight choice between this phone and Samsung’s S9 Plus. But Huawei’s phone is cheaper than the S9 Plus and, in some ways, more powerful. Its design is now up there, too, with Samsung (which has led all phone design in recent years with its edge-to-edge screens). And it has one trump card over the S9 Plus and all other flagship rivals: its battery. The P20 Pro’s 4,000mAh battery gives this phone the best battery life on the market. 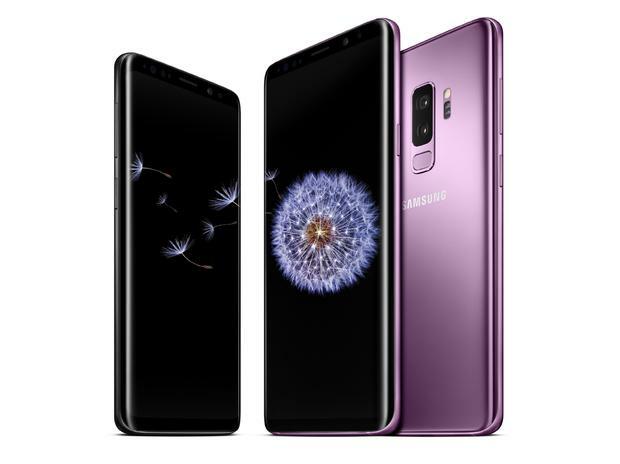 For comparison, the Samsung S9 Plus (which itself has good battery life) has a 3,500mAh battery and the iPhone X (which has a slightly smaller screen) has a battery of under 3,000mAh. This is genuinely an all-day battery experience. For people like me, who are glued to their phone for work a lot of the day, that’s pretty important. The 6.1-inch screen uses an Oled display, which is gorgeous. The difference between Oled and LCD screens is subtle but once you’re used to an Oled screen, LCDs looks a little harsh. It’s generally better at rendering colours and blacks and is easier on the eye. Because the 6.1-inch screen covers almost the entire front of the device, it stays compact enough to fit fairly easily in your hand, too. The P20 Pro’s other trump card is its camera system. It is the first major flagship phone to have three camera lenses on the back of the phone, instead of the two found on the iPhone X, iPhone 8 Plus and Samsung S9 Plus. These lenses boast some insane specifications. Huawei has placed a 40-megapixel (f1.6) sensor on there, meaning that the amount of detail you get in each shot is going to be generally better than what you’d normally expect from a phone. (black and white) lens, for zooming in and adding more detail, respectively. iPhone X or the Samsung S9 Plus. Huawei has stuck a bigger physical sensor into the device, too. Its 40-megapixel 1/1.7-inch sensor is around a third bigger than the 1/2.5-inch sensor you’ll get in Samsung’s S9 or Apple’s iPhone X. You might argue that it needs it, with all those megapixels. But the upshot is that this is a physically superior camera apparatus than any other smartphone out there. The one partial negative I can find at this point is that it doesn’t have a headphone jack. just get used to wearing wireless headphones from here on in. However, it comes with 128GB of storage as standard, which bests both of its main competitors in this price category. 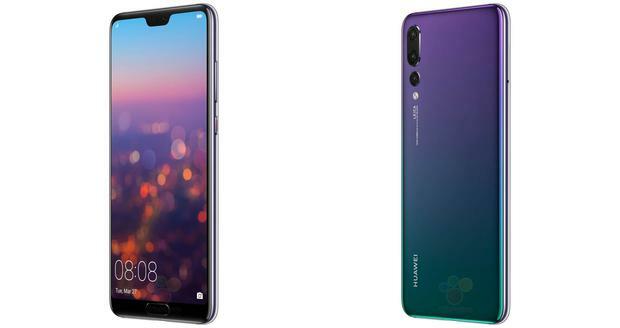 The upshot is that Huawei’s flagship device has leapt above handset rivals such as Sony and HT, which were once rivals to Apple and Samsung. If you want to be within the iPhone ecosystem, but don’t fancy giving up the ‘home button’ then the 5.5-inch iPhone 8 Plus might make more sense than the iPhone X. (As a bonus, it’s also more than €200 cheaper). The 8 Plus is rock solid with oodles of power, a great screen (though not Oled) and excellent dual cameras on the rear. Its glass back also means it can be charged wirelessly. Battery life is decent, though not class-leading. There’s also no headphone jack. From main contender a couple of years ago to also ran: Sony isn’t keeping up with the top marques. 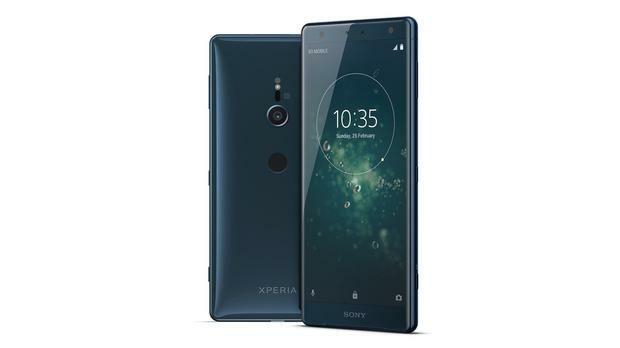 The new XZ2 has some hallmarks of a flagship device but is behind on design and features. There’s no second camera on the rear and it still has chunky bezels, meaning it’s bigger than the iPhone X, despite its (non-Oled) screen being around the same size. It comes with 64GB of storage, battery life is decent and there’s no headphone jack. For years, One Plus phones have offered high-level specifications for mid-range prices. The exact same is true for the just-released One Plus 6. It has a 6.3-inch screen that almost stretches edge-to-edge, 6GB of Ram and up to 256GB of storage. It also has dual cameras on the back and a 3.5mm headphone jack. 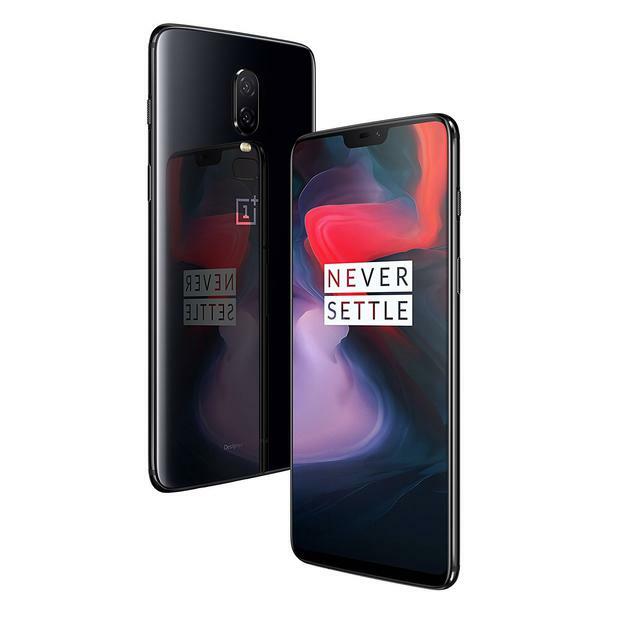 Its main drawback is that you can only get one direct from its website (oneplus.com) because no Irish operators will range it. Other than the One Plus 6, this is the standout mid-range smartphone out there. The six-inch handset is lovely to look at and hold, has a superb battery (3,800mAh) and just does the job really well at a price well below almost all flagship phones. The phone has two rear cameras (a 12-megapixel wide and a 13-megapixel zoom) and comes with 64GB of storage. It even has a headphone jack. If you don’t want to fork out big bucks, this is a great option.